Korach – What is the wrath of G-d? The title of this article is "What is the wrath of G-d?". It is a serious question that most believers and non-believers in G-d thought about more than one time. G-d is described as merciful and gracious, long-suffering, and abundant in goodness and truth. In other places G-d shows "Anger" and wishes to kill or destroy the nation. G-d created and gave us this world "To Make" (Genesis 2:3). We can make whatever we want with it. The "Space" is the building material. With our words we gather the energy to produce what we want. When we use words that go against the natural system, we corrupt the space and negativity erupts. This is what happened when Korach and his group came to complain to Moshe for selfish reasons. The space was corrupted and the light force that holds everything together had to clear the corruption. In Numbers 16:21 G-d (YHVH aka "The Space") notifies Moshe that the effect is about to happen and asks him and Aharon to separate themselves from the others so nothing will happen to them. Wait a minute… Can\’t G-d "Punish" the "sinners" and keep Moshe and Aharon safe? The answer is simple. The negativity had corrupted the space and a cleansing process was about to take place. Whoever was found in the space where negativity occurred could get affected by the cleansing process. We learn how important it is to choose the right environment from that example. If we come across negativity and we can not stop it before it affects the space then we should separate ourselves from that space as soon as possible. Author Zion NefeshPosted on April 20, 2009 Categories Numbers, TorahLeave a comment on Korach – What is the wrath of G-d? Author Zion NefeshPosted on April 20, 2009 Categories Numbers, TorahLeave a comment on Shelach Lecha – What was the real crime of the spies? A man has the power to annul his daughter\’s or wife\’s vows but not his vows. The reason for that is that a female is a vessel and a man is a channel for the Light. They are connected to his Light and If he hears his daughter or wife making a vow, it makes him part of the process. He can then deny channeling the Light from coming to the vessel.
" When a man make a vow unto the LORD, or swear or make an oath to bind his soul with a bond, he shall not break his word; he shall do according to all that proceeded out of his mouth "
This Shabbat we read the last two parasha of the book of Bamidbar. The book is at the level of Zeir Anpin, the light. Next Shabbat we start reading the fifth book, Deuteronomy, Devarim also called Mishneh Torah (repeated Torah) and it is in the level of Malchut, the manifestation level. The word " דברים " comes from " דיבור ", "speaking". The Torah prepares us for the next step and teaches us the importance of our words. It is the tool we use to draw the Light. The Zohar define humans as " מדבר ", one who speaks. This put us above all nature and closer to G-d. The parasha starts with the laws of vows. If a man makes a vow or swears an oath, he shall not break his word and must act according to the words that came out of his mouth. When the words come out of the mouth, the Light is formed to supply the energy to it. It is automatic. The man must follow his words because the Light comes immediately. If he doesn\’t, then that energy is taken by the other side and used for negativity. A young female that still lives with her father is connected to his Light. A husband and wife got connected through marriage and the process of the seven blessings, "Kidushin" that forms a unit of male and female. The male controls the Light flow into the unit and therefore he can annul her vows. A woman is at the Malchut level and her words can manifest without much work. Her desire (vessel) makes things happen. (It is easy to understand now the saying "behind a successful man, there is a successful or powerful wife"). In a true marriage, the husband feels strongly the power of his wife\’s desires; she can make or break the relationship. The power of the vessel is like a magnet. Like a metal drawn to a magnet, the light is drawn to a vessel. When her vows annulled, " וַיקוָק, יִסְלַח-לָהּ " the Light forgives her. The English translation hides the real spiritual process. The root word " סְלַח " =98= " צח ", means clean, pure. Because the man annulled her vow, she is not responsible for its fulfillment and the Light cleanses her. If a man annulled the vow of his daughter or wife he takes the responsibility. (Numbers 30:16) " וְאִם-הָפֵר יָפֵר אֹתָם, אַחֲרֵי שָׁמְעוֹ–וְנָשָׂא, אֶת-עֲו‍ֹנָהּ " " But if he shall make them null and void after that he has heard them, then he shall bear her iniquity ". The parasha deals with the 42 stations the yisraelites made in their journey to the Land of Yisrael . The number 42 connects us to the beginning of the book of Genesis. This number represents the first 42 letters of the Torah and with them the whole world was created. This is the name of 42 or " מב־שמות ". We have the prayer of the "Ana B\’Koach" " אנא־בכח " to connect to its energy. Before the "repeated Torah" of Deuteronomy, the Torah closes the circle and connects to the beginning. G-d in (numbers 25:4) instructed Moshe on how to remedy the situation. Moshe follows the instruction and tell his judges to kill all the people that have joined with the "Baal Peor", the negativity. As I explained in commentary to Balak, the cause of negativity was that the sexual connection is at the level of the Sefirah of Yesod. It is the channel of the Light to this world. This negative join drained the Light of the Yisraelite toward the Malchut of the other side. And Israel abode in Shittim, and the people began to commit harlotry with the daughters of Moab . We see that the effect came immediately and in the same verse (25:3). We learn from that that there is always an effect that follows a cause. That caused a plague. G-d did not create the plague. The people\’s action did. G-d and Moshe wanted to stop that. Pinchas was a high soul and he saw the point where the Light was going toward the negative side. He saw what is going on in the spiritual levels, he saw the people dying because the Light was going away. He saw the spiritual body of the Israelite weakened through the channel of Yesod. He took a spear " רמח " and thrust both of them in the place where their body joined together. The sixth sefirah of Yesod is the last one of the six sefirot of Zeir Anpin, represented by the letter " ו ". Pinchas stopped the negativity at the source by killing the leaders of the act with the right tool. He did not go to kill "bad people"; he repaired the corrupted channel, Yesod, of the Israelites and restored the light to their body (spiritual). When looking at the Torah in Parshat Pinchas, we see that there is a small letter Yod in the name of Pinchas. The sages explain that the regular letters of the Torah are at the level of Zeir Anpin, The large letters connects to the level of Binah and the small letters connects to Malchut of Zeir Anpin. The small Yod of Pinchas shows his connection to the ten sefirot of Light in Malchut. Later we see a broken Vav at the word Shalom " שָׁלוֹם " (Numbers 25:12). Normally a broken letter in the Torah disqualify the Torah from use. In this case the letter has a gap that channels the Light that Pinchas reveal with his act. The letters in the Torah are vessels, the carrier of light. Each letter is a defined light. The spaces in the Torah represent unrestricted Light. (That is why you can not touch the Torah with bare hands). The spaces reveal greater Light than the letters. When a person goes up to the Torah he looks at the letters and read. There must be Eye Mouth Ear connection to draw and channel the light to the congregation. Even if a reader knows the Torah flawlessly by heart, he can not stand by the Torah and recite the verses without looking at the letters. The person that makes the Torah blessing must connect with his eyes to every word read in the Torah. The letter Vav appears in the word Shalom " שָׁלוֹם ". The root of the word is " שלם ", which means completeness. 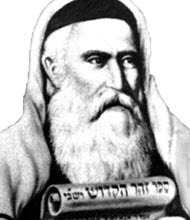 Pinchas repaired the broken body of the Isrealite. He made it whole again. There is also a new paragraph starts after the words " וַיְהִי, אַחֲרֵי הַמַּגֵּפָה " "and after the plague" ( Numbers 26:1 ). This space comes in the middle of the verse. A new beginning took place after the plague. That space reveals a lot of Light. G-d explains Pinchas action as " פִּינְחָס בֶּן-אֶלְעָזָר בֶּן-אַהֲרֹן הַכֹּהֵן, הֵשִׁיב אֶת-חֲמָתִי מֵעַל בְּנֵי-יִשְׂרָאֵל, בְּקַנְאוֹ אֶת-קִנְאָתִי, בְּתוֹכָם; וְלֹא-כִלִּיתִי אֶת-בְּנֵי-יִשְׂרָאֵל, בְּקִנְאָתִי "
" \’ Pinchas, the son of Eleazar, the son of Aaron the priest, hath turned My wrath away from the children of Israel, in that he was very jealous for My sake among them, so that I consumed not the children of Israel in My jealousy ". The English translation is for the story, not for the hidden Torah code. "Turned the wrath away", means that he stop the effect of their negative actions. " בְּקַנְאוֹ " is built from " ב " in " קַנְא " and " ו ". " קַנְא " has the numerical value of 151 = " מקוה ", cleansing and Vav. Simply to tells us that Pinchas purified the letter Vav, the channel. G-d rewarded him with eternal priesthood. We know that Pinchas became Eliyahu Hanavie, Elijah the prophet, and he never died. He is always present (when invited) in the ceremony of "Brit" (circumcision) to help the new child remove the negativity and connect to the Light. It is called entering to the covenant of Avraham (numerical value = 248!). Pinchas brought new life to the people of Yisrael. The Parasha mentions all the tribes, holidays and sacrifices. The light of this parasha is so strong that we read parts of it on a daily basis (more than once). Shabbat, Rosh Chodesh, and all major holidays. The Zohar goes in length to describe the human body parts and the spiritual connection of each part. The Kohen duty is to channel the Light to the people and heal them. Pinchas did the ultimate and gave us through this parasha Light to use everyday. He will be the one, as Elijah, to announce the ultimate peace " מבשר שָׁלוֹם " with the coming of Mashiach, Today, Amen. Beha\’alotcha – The gate of Mashiach. This article may be somewhat cryptic to many people. I pray that you will understand some of it but in any case, the fact that you read this article will connect your soul to that place which I am revealing here. Zohar Beha\’alotcha talks about two Messiahs, Mashiach ben David and Mashiach ben Efraim. The first is the right column and the sefirot of Chokmah, Chessed and Netzach, The second is Left column and sefirot of Binah, Gevurah and Hod. Moshe is sefirat Da\’at (knowledge), (a sefirat that appears when Chokmah and Binah are connected). The Zohar tells that Moshe (named in the Zohar as Raya Meheimnah, which is Aramaic for "the Faithful shepherd"), holds both columns and all aspects of the middle column (Keter, Da\’at, Teferet and Yesod) are connected to him. There are two special verses in Beha\’alotcha, (Numbers 10:35-36) that are separated from the other parts of the Torah by two reversed and upside down "נ" letters. Most kabbalists consider those two verses as a separate book in the Torah. This makes the Torah have seven books altogether. The first verse has 12 words, like the last verse of the Torah and the second verse has 7 words like the first verse of the Torah. There is a cross hold. The first verse has the word "ובנחה" numerical value 71 but the Torah reader is instructed to read it as "ובנחו", numerical value of 72. The pronunciation is exactly the same but the energy revealed is totally different. The beginning and end are tied together here. We can see the two hands holding the Torah together. The two letters of "Nun" are like walls. From one side of the two verses we see the right column, the presense of the light of the Creator (numbers 10:34) and the other side in the beginning of a new chapter, the nation with their complaints, their selfish desires and death (Numbers 11:1). Within every 72 hours, we need to read from the Torah. This happens on Monday, Thursday, Saturday morning and Saturday afternoon. Before the reading of the Torah, a special process is taken place. A person goes to the Ark (where the Torah scroll is placed), hold the doors or curtain with both hands and open. At this point, the congregation begins to recite the first of the two special verses. Whenever the ark set out, Moses said, "Rise up, LORD! May your enemies be scattered; may your foes flee before you." The Scroll is taken out for reading. After the reading, the Ark is opened again and the Torah is put back to its place. This time we recite the second special verse. And add a verse from the end of Lamentation, 5:21. "לְעֵינֵי כָּל-יִשְׂרָאֵל" "in the sight of all Israel". The first letter of the three words spelled "כלי" (vessel). The last letters "ללי" numerical value 70. The vessel is the two verses in Numbers 10:35-36. The light is what is concealed inside the seven books of the Torah. When all Israel (all 12 tribes) comes together as one and connect to the Torah, Mashiach will be revealed (ביהשמו). The two special (reversed) Nuns (נ) will drop and the Light of the Holy Ark will spread throughout the whole seven books of the Torah. The 19 (12+7) words will tie together the beginning and end of the Torah, closing the circle and flood existence with the light that awaits us from the day of creation. Let us pray that this day is coming today, Amen. Author Zion NefeshPosted on April 14, 2009 Categories Numbers, TorahTags Torah CommentaryLeave a comment on Beha\’alotcha – The gate of Mashiach. In Zohar Naso we have the Idra Raba. In the beginning of the Idra rabba we read that Rabbi Shimon sat down and cried. There are many places in the Zohar that tell us about his cries. Rabbi Shimon was a Tana (a spiritual leader that is able to control nature and resurrect from the dead). Then why does he cry? Crying is one of the highest spiritual connections. It relates to the level of Chokmah, where pure light exists. Touching it directly can turn the connection to negative. It is the left column, the essence of desire. The light of Chokmah broke the original vessels and embedded the desire and formed the vessels as we know them now. I can\’t go into deeper explanation, because it is not the subject I want to reveal in this article, just for you to understand that the universe is inside a circle of e xisten ce. (The secret of Pi (3.1459…), Binah is the ream and chokmah is connected to the Ein Sof (the endless, àéï ). When a person cries in the process of connecting to the Light of the Creator he may reach the level of Chokmah. That is why it is said that the gates of tears are never closed. Many can cry in their prayers, but it relates to their physical pain or for something that they are missing. Very few, if any, can break through the spiritual curtains with their tears. Selfish reasons attach gravity to the spiritual tears and they cannot ascend to open the supernal gates of the endless to draw light to fulfill the vessel. There is a way to reach the endless and draw everything that we need. The way is described in the parasha of Naso and is demonstrated by Rabbi Shimon and his students in the Idra Rabba. We read in Naso that the heads of the 12 tribes brought offerings to the altar in the Tabernacle. Immediately after that Moses came into the Tab ernacl e and he could hear the voice speaking to him from above the Ark cover. We see that the Torah relates to both events together. These 12 offerings activated of the Ark. One important thing to know is that all 12 offerings were exactly the same. The learning here is unity of the whole system. In the Zohar, Rabbi Shimon sat and cried, gathered his students close to him and announced them that "All depends on love". They were all in total unity and were able to create the vessel for Rabbi Shimon to draw the Light of the deeper secrets of the Spiritual system. Their connection was so high that they could hear angels around them and when Rabbi Shimon started talking and revealing the secrets the whole place shook. We should include a wish in our prayers for the gathering of all 12 tribes in the Holy Temple in Jerusalem. Squeeze an honest tear or two to re-activate the flow of the Light of the Creator and remove all darkness form this world, Today Amen. Bees and Numbers….What a crazy thought? Bamidbar, numerical value 248, (Literal translation is "in the wilderness") is named "Numbers" because it deals with the counting of the Israelites. From the whole Torah aspect, this book(s) is the level of Zeir Anpin (=6 Sefirot of Chessed, Gevura, Tiferet, Netzach, Hod and Yesod). Many Kabbalists consider it as three books. (Read my commentary of Behalotcha). Zeir Anpin is also the Light force of the Creator in our world. You can refer to it as "the Space", which is everything inside and outside us. Last week we finished the reading of Leviticus, which is the level of Binah. The first three books are Keter Chokmah and Binah. They relate to the Head, the cause and the potential. With Bamidbar we are starting to form the body; manifestation and creation of the vessel. Zeir Anpin is represented with the letter Vav of the Holy name (the tetragramaton). Human, according to Kabbalah is defined as "מדבר" (Hebrew for one who speaks). Bamidbar has the same letters as in medaber "מדבר". The first two letters are abbreviations for "Ma\’ase Bereshit", which means act of creation and are numerically equal to 42. The one who speaks has the power to bring new formations to "reality" (whatever we see as reality). Now here are some excerpts from the internet related to the vanishing phenomena of Bees. Please note that Bees in Hebrew ="דבורים" and is the same root as Bamidbar. A Cornell University study has estimated that honeybees annually pollinate more than $14 billion worth of seeds and crops in the United States, mostly fruits, vegetables and nuts. "Every third bite we consume in our diet is dependent on a honeybee to pollinate that food," said Zac Browning, vice president of the American Beekeeping Federation. "There is a syndrome called Colony Collapse Disorder (CCD)," Koptur said. "It appears that the bees get disoriented and they go out foraging, collecting nectar from flowers, but on the way back they get lost and do not return to the nest. Without the food, larvae die and the colony collapses." The collapse and destruction of bee hives could have widespread negative effects on mankind. Bees are extremely vital to the economy. "Honey production is worth just $200 million a year, but bees pollinate $15 billion worth of fruit, vegetables and nuts, especially the $2 billion almond business," reported The Economist in April 2007. There has been evidence suggesting bees are dying due to pathogens raised in conditions caused by humans. Among the clues pointing to a possible disease according to the FDA is "the sting gland of many examined bees that were obviously scarred with distinct black "marks." This type of pin-point darkening is indicative of an immune response to some sort of pathogen." Even the queens are infected since "in addition to their sting glands, evidence of Melanosis was found in the ovaries of infected queens. These queens were superseded by colonies. Subsequent research has documented damage to hypo pharyngeal glands of worker bees." There is a cause and effect system and it is working no matter what. The Ether waves are full of people\’s conversation, speaking negatively. Last month, the father of chaos theory, Edward Lorenz, passed away. He was well known for his paper "Predictability: Does the Flap of a Butterfly\’s Wings in Brazil Set Off a Tornado in Texas?" Let me add something before that; "Does the vapor of a person speaking, makes a butterfly, flap his wings?" The question is "Are we responsible for the vanishing bees? ", Are we responsible for the tsunamis?, Are we responsible for the cyclones? , Are we responsible for the earthquakes?, Are we responsible for the Tornadoes? (California?! ), Are we responsible for airborne diseases? Stay positive, no matter what. When the weather and nature around us, gets "crazy", we need to be calm. Remember Mahatma Gandhi? With the power of speak, he pushed away the entire forces of the British Empire out of India. Spread positivity and love, maybe we can push away some negativity. Author Zion NefeshPosted on April 14, 2009 Categories Numbers, TorahTags Torah CommentaryLeave a comment on Bees and Numbers….What a crazy thought? Author Zion NefeshPosted on April 14, 2009 Categories Numbers, TorahTags Torah CommentaryLeave a comment on Shelach Lecha – What was the real crime of the spies? Author Zion NefeshPosted on April 14, 2009 Categories Numbers, TorahTags Torah CommentaryLeave a comment on Korach – What is the wrath of G-d? Author Zion NefeshPosted on April 14, 2009 Categories Numbers, TorahTags Torah CommentaryLeave a comment on Pinchas – I am not important! Are you?